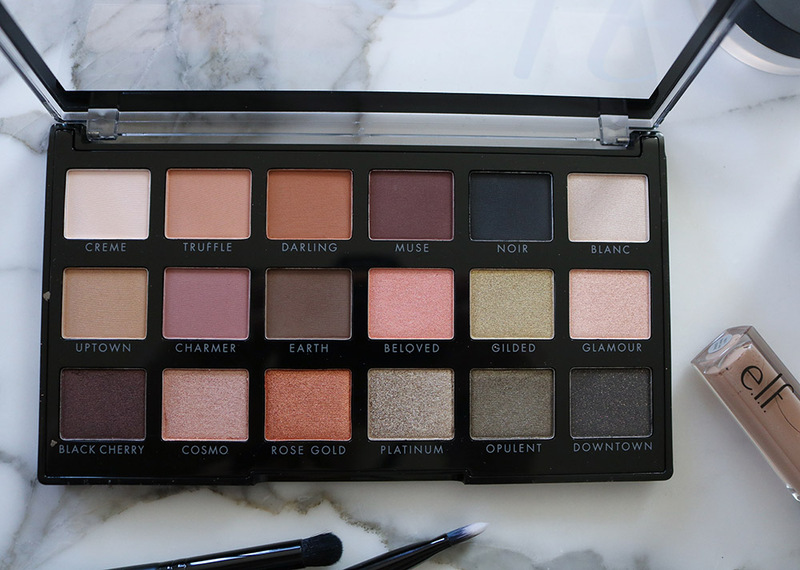 A Do-It-All Palette for Only $14? 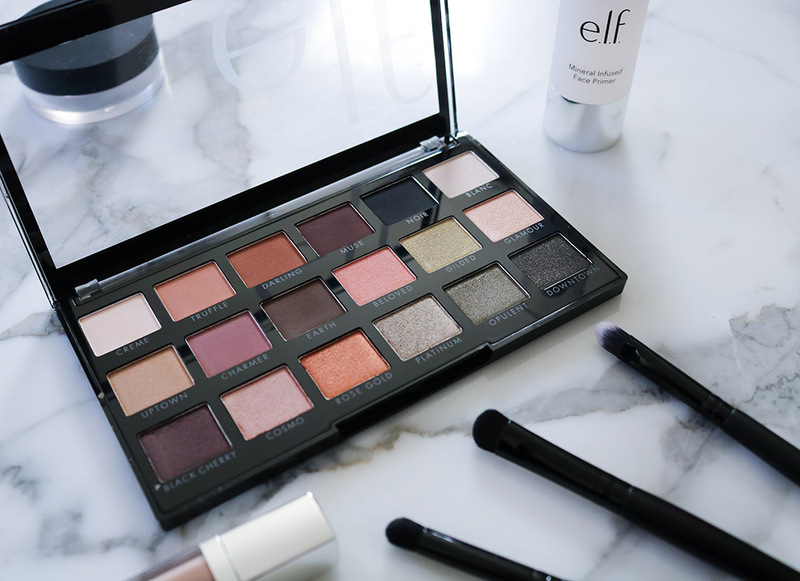 The ELF New Classics eyeshadow palette has 18 shades and a pretty price tag of just $14. Is it as good as I hoped? Hello there, from sunny Florida! I have to say, I quite like writing a blog post while overlooking a palm tree. Wish I could do it more often! Standard Kelly, I couldn’t just buy what I came to ELF’s website for and be done with it. Naturally I had to take a deep drive to look at everything else they had available. Sadly, the putty primer I keep hearing so much was out of stock – but as an apology I scored an extra 15% off so…winning? Seriously though, I’ve never seen a retailer provide a discount code to make up for the item you’re looking at being sold out. What a nifty, thoughtful touch! Not that I was really in need of another neutral eyeshadow palette, but at $14 and an extra 15% off…I simply could not resist the inviting shade selection of this 18-pan palette. And when you look it over, can you honestly blame me for making the purchase? 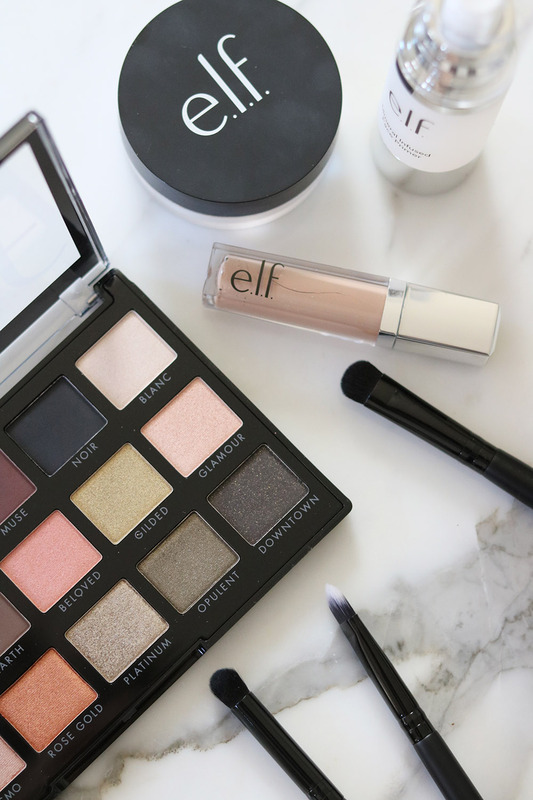 No doubt, the ELF New Classics eyeshadow palette is quite the beauty. While the palette by design includes traditional eyeshadow shades we’re all accustomed to seeing, I honestly don’t think I’ve come across them assembled together in a palette quite like this before. From greens, to orange-tones, to rose gold, matte black and even a deep burgundy…the color selection is virtually a feast for the eyes. It also makes for a lot of fun when sitting down at to create an eye look. That’s right, feel free to let your hair down and have fun with this one because there is A LOT you can do. 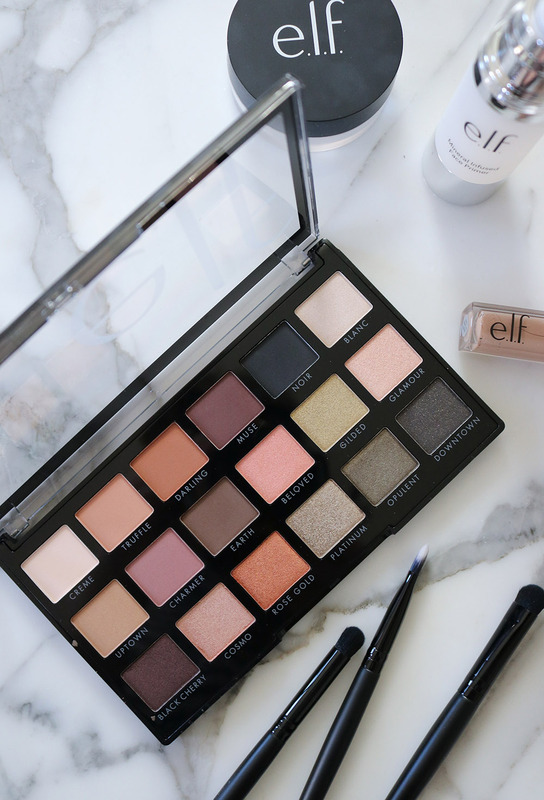 Good looks aside, let’s get into the nitty gritty of the ELF New Classics eyeshadow palette! Rose Gold: Defined by name as rose gold, but I consider this more a satin orange. Beautiful shade! As you can tell, I had a little difficulty managing to fit all eighteen shades in the ELF New Classic palette onto my arm, at once. Now that I write this…I feel kinda dumb that I even tried to but alas, I’m a work in progress. HOPEFULLY you still manage to get a sense of the consistency and textures of the shadows, though. Without question, I find the pigmentation of the shadows to be pretty remarkable for such an affordable product. They honestly compete pretty evenly with my MAC palette, which obviously speaks to just how well Elf put together a quality eyeshadow palette at an impossibly reasonable price. Obviously I was very excited to dig inside the ELF New Classics eyeshadow palette and start playing! What can I say, I’m still a child at heart and sitting down at my vanity in the morning with a cup of coffee absolutely is my version of adult playtime. Working with the palette, I was immediately blown away with just how smoothly the matte and satin shades apply. They really do have a quite rich texture. As such, they build color on the lid nicely and blend out evenly. 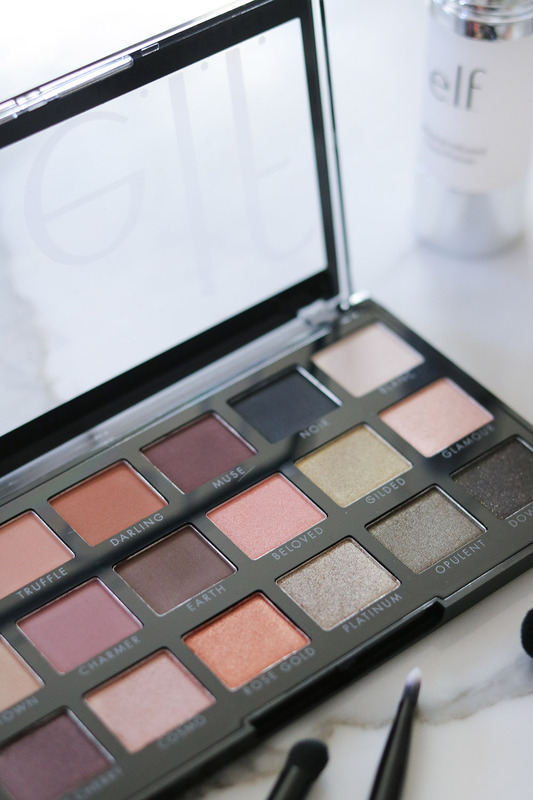 I really like shades “Darling” and “Truffle” as crease shades…or even worn all over the lid if you’re in a hurry. The quality of those two shades alone makes the $14 price tag more than worth it. One issue I did run into was when using the shimmery shades. Particularly with “Beloved”, I had a lot of trouble. That shade had loads of fallout and required quite a bit more work when applying to the lid. In the end, I actually have the most luck working with my finger when it comes to the shimmer shades. If you do prefer to use a brush, though, I highly recommend using those wet to gain a lot more control. 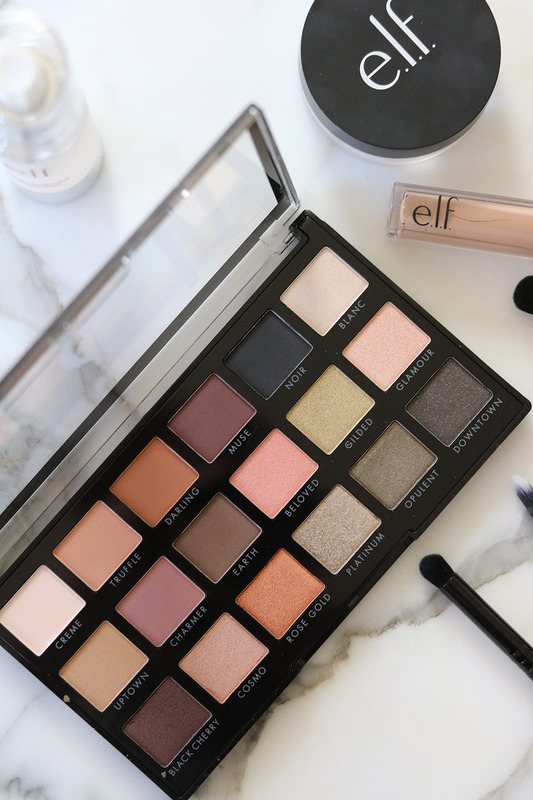 Overall, I think the ELF New Classics eyeshadow palette is well worth $14 and I predict I’ll be turning to it again and again throughout the year. The color selection is pretty spot on, making this a great go-to palette as it essentially does it all. Smoky eye, neutral, bold? Whatever you have in mind the New Classics palette can be of service. The shimmer shades are somewhat inconsistent, especially when used dry. 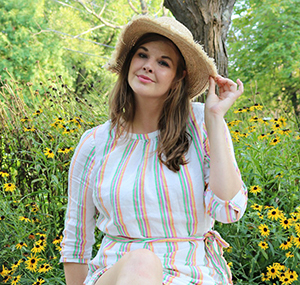 And definitely beware of fall out OR be sure to do your eye makeup before venturing into foundation. Phenomenal price. $14 for everything you get is a steal! Does not include a stark matte white. Blanc is obviously meant to serve as the white in the palette but it ventures more into ivory territory. Limited availability. I looked for this on Target, CVS, Walgreens, Ulta and even Walmart’s website but came up empty handed. It seems the palette is currently only available from ELF’s website. On the plus side, ELF does offer free shipping at $25+ and has a nice reward points system of their own. 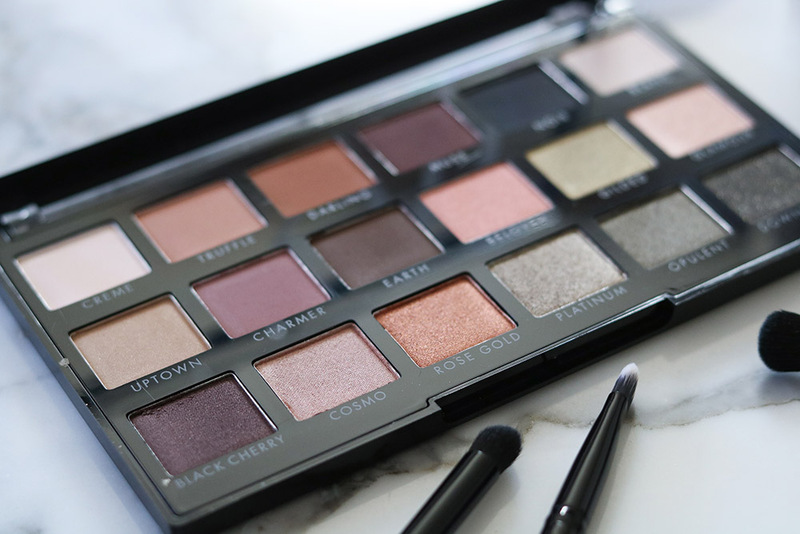 A rather strong eyeshadow palette that offers a large variety of shades. Comparable to MAC shadows in quality for a very reasonable price! 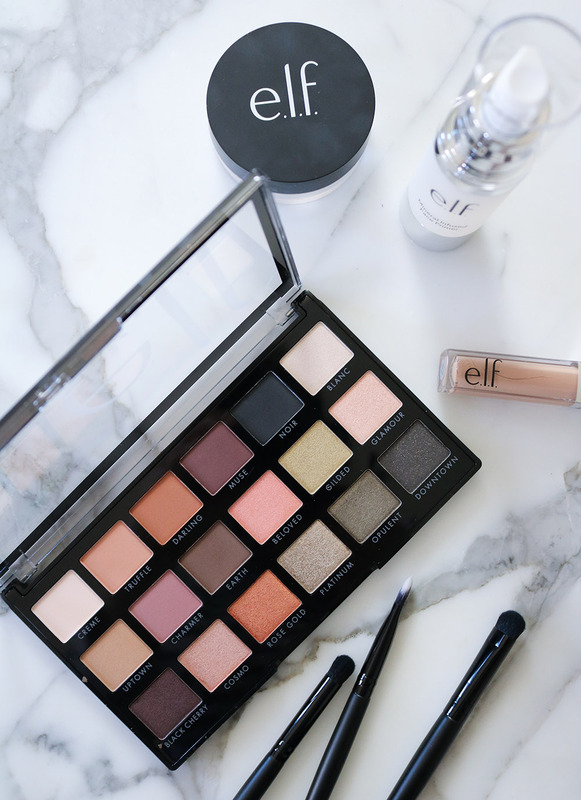 If you’re interested in learning about more eyeshadow palettes from ELF Cosmetics, I also reviewed their Chromatic palette here.